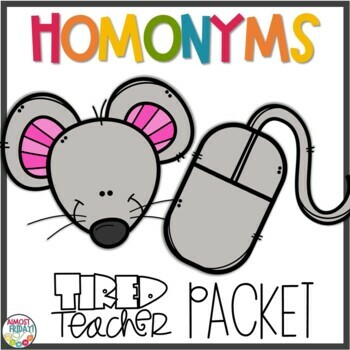 This packet has everything you need for teaching homonyms - multiple meaning words - to first and second grade. 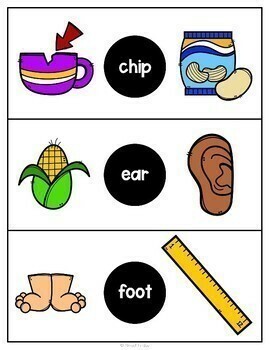 Teaching your students figurative language has never been easier. This packet is no-prep; just print and go. 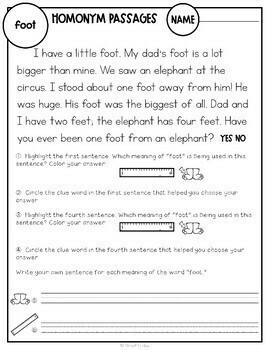 Answer keys are included for your convenience. 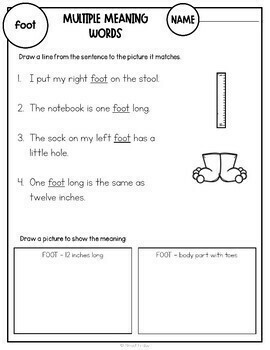 This product can be used as a unit or spread throughout the year.